Wow! Are we lucky to have someone like Liz on our team. Liz’s knowledge comes from 20 years in the dental field. She started in dentistry as a dental assistant and then moved to dental management. There are the occasional times when she dons the scrub top but mostly she is the backbone of the office making sure the office runs smoothly and our patients are taken care of. She is wonderful at explaining procedures to patients and how their insurance works to benefit them. She always bends over backwards for our patients to make sure they get the care and treatment they deserve. Liz will review and schedule your treatment, make financial arrangements, and make sure your insurance needs are taken care of. We love Liz and know that once you meet her you will love her too! If you have any questions or concerns she will be more than happy to answer them and make you feel at ease. Liz loves spending time with her Husband and two son's enjoying the outdoors. Sahar joined our team in 2016, has training in both dental assisting and office administration. She has the knowledge and experience to answer any questions you might have. Sahar smile will be the first you see when you come in, we are sure you will enjoy her warm and welcoming personality. Her attention to detail and professionalism brings great pride to our practice. She will assist you when your in need of re-arranging appointments and do her best to accommodate your schedule. She comes with years of experience and knowledge in dealing with dental insurance. She strives to help you understand how your plans benefits work for you. Sahar is a Native to Arizona and spends her extra time with her husband and beautiful twins. Melanie started in dentistry working as an office manager but realized that dental hygiene was her love and passion. She has been with our office since 2004 and has been instrumental to the success of our practice. 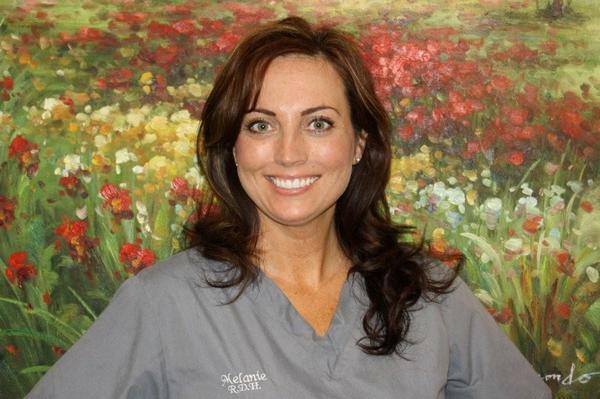 All of our patients love Melanie because she loves to educate them and provide top notch care to better their dental health. It makes her feel great when she meets someone who hasn’t been to the dentist in years and can change their frown into a smile. Melanie is very knowledgeable regarding periodontal disease and the treatment and prevention thereof. She will do everything she can do to better your oral health and make you feel like part of our family. Melanie is married with two children and they enjoy camping, hiking, sporting events, and attending church activities. Smile! That is the first thing you notice about Jessica..always smiling. She has been with our practice since graduating from hygiene school in 2007. Jessica brings a lot of energy to the office with her great personality and love for people. She has a passion for dental hygiene and it shows from the very first time you meet her. She has a genuine desire in helping our patients maintain healthy teeth/gums and provides treatment options and preventative measures to do so. If you are nervous about your visit, don’t worry…She will calm you with her laughs and calm, gentle heart. Jessica enjoys camping, water skiing, and spending time with friends. If a Gental Touch is what your searching for look no further, Diana is your hygienist. Diana graduated in 2006 from hygiene school and his been practicing ever since. Her kind and gentle approach brings a calm and stress free experience. Maintaining your dental health is her main objective and will help you understand your treatment options. 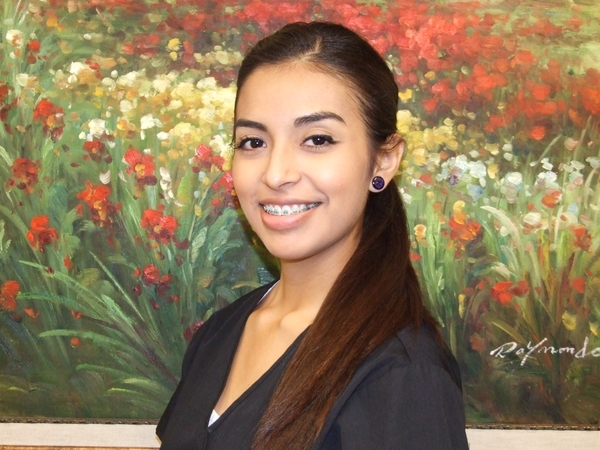 Creating relationships and providing the best dental care is what Diana represents. We feel lucky to have found Diana and are sure you will too! Diana enjoys camping and hiking with her husband two kids and Miles the family dog. Sahira pronounced Sigh-Da, is the newest addition to our office and a real delight to have in our practice. She has quickly become a valued team player. Her friendly smile will greet you at your initial examination. Sahira will assist in taking any necessary x-rays with her gental touch and speedy techique will be sure to be a breeze. Sahira is from sunny California and has a sunny disposition to match! On her free time she enjoys spending time with her two beautiful sons. Christie has been with us since 2015. What really caught our eye was her sweet, caring demeanor and her willingness to be the best. We have been so happy with how Christie has made such an impact on our patients. She is very outgoing and will do everything possible to put you at ease about your dental procedure. Christie is a excellent dental assistant with 27 years of experience. Christie works seamlessly with Dr. Kirkland making sure your dental experience is comfortable and stress free. After meeting her you will feel like you already knew her as she is so easy to talk to. She definitely has a love and desire to help people improve their smile and self esteem. Christie is a native to Florida and enjoys visiting family as often as possible.